Photo by Shin Suzuki. Artwork © Takashi Murakami/Kaikai Kiki Co., Ltd. All Rights Reserved. Courtesy Gagosian Gallery. History has shown us time and again how wars and natural disasters can dramatically alter an artist’s work and career. It’s a huge subject, but in Western Art History, think about how the first and second world wars led to Dada or the French avant-garde’s « return to order » or Picasso’s Guernica. 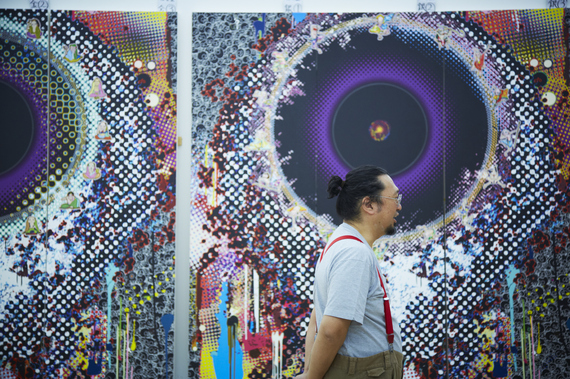 In retrospect we may consider the 2011 Great Tōhoku Earthquake and tsunami the major career-altering event for Takashi Murakami. He’s moved away from previous themes in his work, such as « capitalism and the money game » and created new works engaging with ideas surfaced by the disaster, such as his recent film, Jellyfish Eyes, and his « Arhat Cycle » installation at the Palazzo Reale in Milan. Murakami has also raised money to assist victims and called for government admission of the environmental damage. As well, he’s researched Japanese art created in response to historic natural disasters in the service of his work. 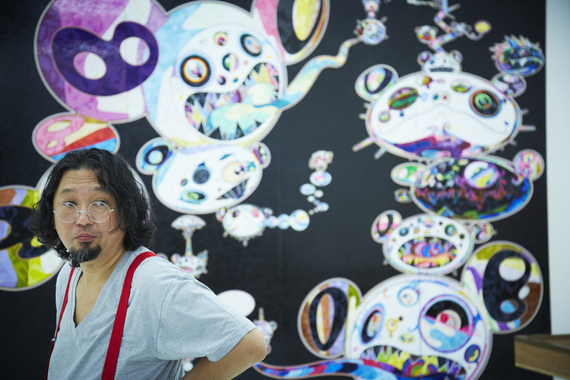 Murakami’s upcoming exhibition at Gagosian Gallery, titled « In the Land of the Dead, Stepping on the Tail of a Rainbow, » continues to take the earthquake and tsunami as its departure-point. According to the gallery, the show will feature an immersive installation of sculptures and paintings, which will investigate « the role of faith amid the inexorable transience and trauma of existence. » More specifically, the works will merge « earlier faiths, myths, and images into a syncretic spirituality of the artist’s imagination. » Totemic sculptures will feature demons, religious sites, and self-portraits, while paintings will combine classical Japanese techniques with imagery from Abstract Expressionist paintings, science fiction, manga, as well as Buddhism and Shintoism. Visitors will access the installation through a 56-ton replica of a sanmon (sacred gate). The gate will feature eclectic arhats, clones of his fictional creature Mr. Dob; andkarajishi, mythical lions that guard Japanese Buddhist temples. As is well-known, any genuine discussion of faith is difficult to find in modern and contemporary Western art history. Its absence was arguably caused by its absence in the liberal circles that create and embrace modern and contemporary art. Religion in the modern era was (and is) considered everything art has not been: conservative, against individualism, repressive, old-fashioned, intolerant, dogmatic, and divisive. Does religion exist at all in today’s art world? Yes, but most often as documentary or anthropological art about religion. It’s also been said that contemporary art viewing experiences are similar to traditional religious experiences. They are ritualistic, and involve homages, reverence or worship in large, quiet spaces. Yet they’re not actual religious experiences or artworks proposing new avenues of faith. If modern and contemporary artists have not turned to faith in the face of trauma in the 20th century, what paths have they taken? Some have chosen to make works that bear witness by showing unflinching evidence of the human damage. Others have created memorials to idealize the dead and show their heroism. Still others haven’t engaged at all with the disastrous events in their work — this is what happened most often with 20th century abstract artists. Instead they opted to raise money or become engaged with the issue in other ways outside of the studio. Finally, there are many artists who have chosen to express nihilism and anger and hopelessness in the face of trauma. How we receive, attend, review (and purchase) Murakami’s exhibition may be some barometer of the state of religious art today. Another (final) thought here is maybe Western audiences won’t consider this work immediately religious, since it is concerned with primarily Eastern religious traditions (i.e. Buddhism and Shintoism). 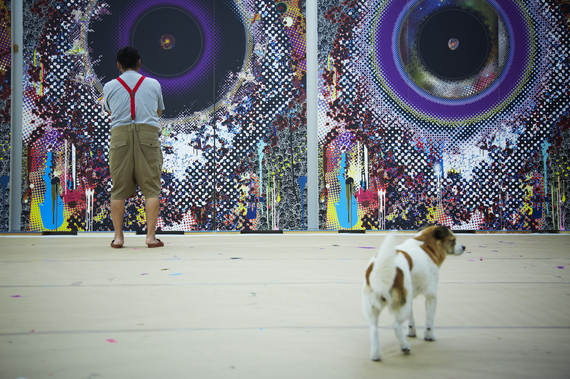 As well, while it’s the trend, we probably shouldn’t compare Murakami with modern and contemporary Western artists, but instead (or at least more) with Japanese artists and Japanese art history (which is obviously a major historical departure point for his work, due to his research). This will enable us to better evaluate whether or not his approach is truly unconventional. 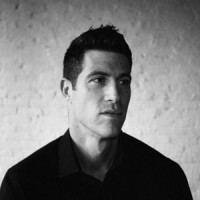 The article had first been published on Artsy, a great resource for art collecting and education.